We are recognized as leading manufacturer, supplier and exporter of a wide assortment of Both Side Ribbed Rubber Hot Water Bottles, One Side Ribbed One Side Plain Hot Water Bottles, Both side Plain Rubber Hot Water Bottles which are manufactured using premium quality material. We are offering Duck Bag Hot Water Bottle. Jullundur (jalandhar) surgicals enterprises is manufacturer and supplier of hot water bottles such as rubber hot water bottle, designer rubber hot water bottles, household hot water bottles and colored rubber hot water bottle under its brand name je mediguard located in delhi, india. We are trading and exporting an excellent quality range of Medical Mask, Suction Set, Medical Apparatus, Medical Syringe, Medical Needle, etc. We have well-maintained and capacious storage unit that includes all required facilities vital for a safe stacking of the products. We are working with experts and professionals and they supervise the range sternly ensuring zero damage to the stored items. We use packaging materials that are industrial grade, and non-toxic. We are engaged in manufacturing, supplying and export of a wide range of One Side Ribbed One Side Plain Hot Water Bottles. We offer these One Side Ribbed One Side Plain Rubber Hot Water Bottles to our valuable clients at affordable market rates. We are engaged in providing a wide range of Rubber Hot Water Bottles to our clients. 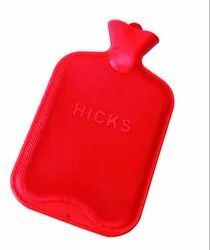 We are offering an outstanding range of Hot Water Bottles that is made employing the finest quality material and advanced techniques. 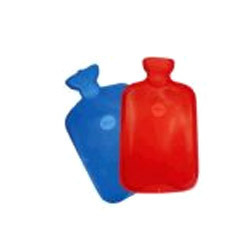 We are engaged in manufacturing, supplying and export of a wide range of Hot Water Bottles. We offer these One Side Ribbed One Side Plain Rubber Hot Water Bottles to our valuable clients at affordable market rates. We are reckoned as one of the trusted rubber Hot Water Bottle manufacturers in India. As we meet the bulk requirements of our clients, we have acquired noteworthy opposition amidst the forefront leak proof hot water bottle suppliers.